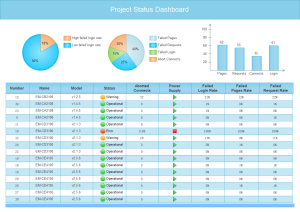 An easy to use project status software that helps create and manage one project report or multiple project reports as you wish. 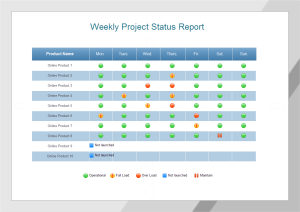 Project status chart is a type of chart tailed for review of project status reports. Edraw project status software (PSS) provides a consolidated, clear and consistent overview of project status. If you clearly know everything of your project and have everything under control, you will be able to play your card right. Edraw PSS helps you achieve this goal by providing visual reports of your management details and improving your management efficiency and effectiveness. Discover why Edraw is the most superior project status chart software: Download it Now. 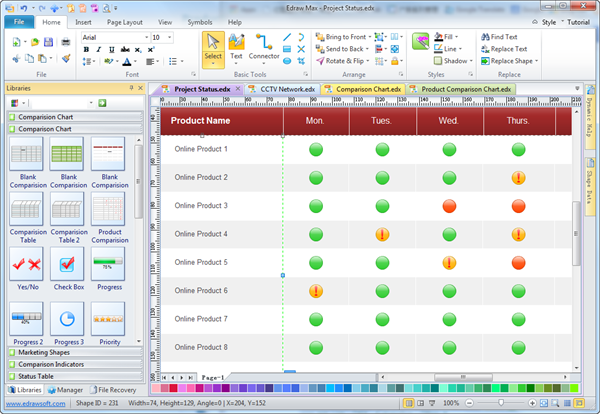 Edraw project status software makes it easy to input and report the status of projects or tasks. As for people already accustomed with other Microsoft apps such as Word or Excel, the interface will be quite familiar. Simply drag and drop symbols, apply built-in design themes, and automatically share your finished project status into a presentation or PDF with one click. Every mark is designed with specific drop down menus like "In process, Pause, Stop/Cancel, Fast forward" so that the status can be easily modified. Change the chart's format flexibly, including adjust sizes, colors and fill effects of individual shapes or a group of shape. Replace shapes with pictures whose sizes are automatically adjusted according to the shape size. Gain help from the dynamic user guide or manual link. A weekly project progress report is required for each team. 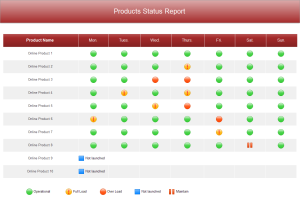 A professional weekly project status report template is well drawn, ready to advance your own designs. A vector project status template is accessible all the time to use for your own designs. It is free for you to copy and use on your project within your organization. A project status dashboard template is easy to update the data and customize the style.